I’m in the middle on a horticultural experiment at my home. It might be more rightly called a lackadaisical attitude concerning gardening. I like plants; I don’t like tending them. I’m not sure I’d even dust silk ones. If an inventor created affordable, authentic looking, dust repelling, fade resisting plant replicas then I would probably buy them. But I digress. Outside my back porch railing is a wild rose bush. I allow it to grow, wildly that is. The growth of this rosy beast is impressive as it weaves onto the lattice of my porch railing. One of the great stalks has split into a beautiful three headed green dragon-esque shoot worthy of being cast in the next DreamWorks animation. The weather has been great for growing these mighty tendrils. However, these leafy verdantly vibrant vines are missing a critical element: rose buds. In its effort to reach the second story of our porch it exhausted its resources on infrastructure having nothing left for the beautification. And therein lies my proverb, “limitation allows one to flourish.” The not-so-secret art of rose tending is to prune. I think the not-so-secret art of life is quite similar. When we speak of God and his attributes we undoubtedly begin with his immeasurable qualities: omnipotent, omnipresent, eternal. But in the Bible God often reveals himself through his work of limitation and boundaries. The creation fiat is basically God’s imposition of limits. Eternity now includes time. Time is measured by day and night. The earth is the epitome of boundaries with firmament, land and sea. Before the creation of the things populating the earth God begins with the rules and the boundaries. In order for all things to flourish in symbiosis boundaries and limits must be imposed. Have you ever thought of the power of limits in one’s ability to flourish? Procrastination reminds us we have a deadline. The patient given terminal news makes the most of the days left. God asks us to prune in order that we flourish. The farmer limits a field to one crop for a better harvest. My neighbors do not admire my thorny bud-less vines. So maybe it’s time to recognize the God who beautifies within boundaries. Monogamy, work/Sabbath, extracurricular activities, media, clutter, etc. Live vibrantly in moderation. So then, where is God asking you to prune and in so doing find yourself full? 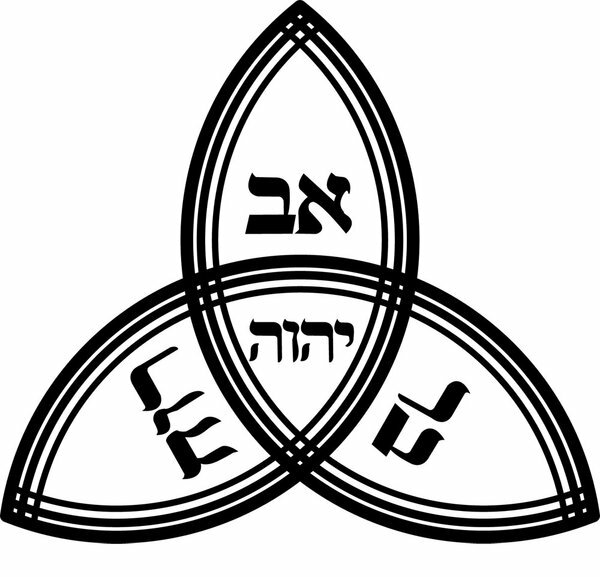 The crown of Christian theology is the Trinity. Being trinitarian matters. We Christians are not shaped by our worldview, morals, and geopolitical leanings rather these are shaped by our God-view. The Trinity matters. Sadly this doctrine is not often well articulated by the common Christian or applied to why and how we live. Let me briefly explain why the Trinity matters and how this doctrine influences us in two ways. A very close friend of mine with a great deal of pastoral experience has recently come out of retirement. I am delighted for him and the congregation he has been called to serve in Christ. May they all be blessed in our Lord’s grace and mercy. I am also glad to see him back in the role of Pastor, for I know he is like me and will not “really” retire because this is a vocation, not a job in the strictest sense. He took a picture at his installation service (which I am using without permission! 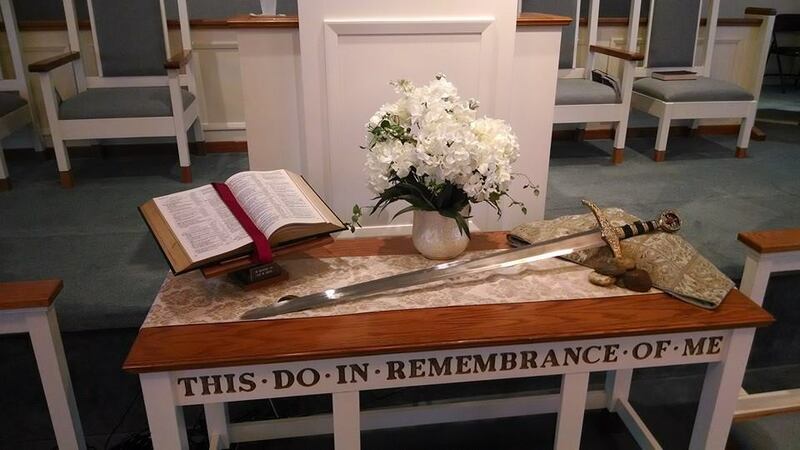 Ha – love Facebook) of the communion table decorated for the occasion. Now, usually I am not one for a decorated communion – I don’t want to detract from the meaning of the table or confuse people with the words underneath the decorations, but on this day I make an exception. I feel that this table is a great representation of the pastoral calling. And so I dedicate this post to my dear friend, Rev. Terry, since I could not attend the installation service. Today my 6 year old daughter and I spent some time drawing. For inspiration I pulled out a book on illuminated manuscripts. We looked through pictures of Celtic knot borders, crazy twisted animals, and robed angels. It occurred to me as I flipped through the carpet pages and the various designs embedded and surrounding the text that there is something missing in modern Bibles. There is a lost design element in our modern view of the Scriptures. 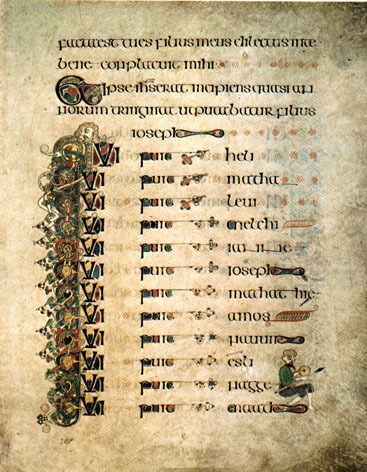 Whereas the interpretations of the Scripture in previous hand lettered medieval manuscripts were done through color and image, a flare for mystery and highlighting the other worldliness of the Bible, our modern Bibles fill the margins with simply more words. In our thirst for knowledge we are more concerned with useful additional information and only find beauty in typesetting and page layout. Bibles are marketed by the number of notations and study helps or by the scholars behind said study guides. We name the Bibles after the name of the major note-maker (Scofield, Ryrie, Jeremiah, Dake, etc) or the theological mindset behind the features (Orthodox, Wesleyan, Reformation, Charismatic, etc.). We might even market it to a specific sect of believers (Singles, Women, African Americans, Recovering Addicts, etc.). I love the old manuscripts because monks poured over these words with a different mindset. Their time to hand write each page, to use their talent to accentuate the text anonymously is evident. The biblical words were enough; their joy was to merely highlight it. Their pictures are not historically accurate and sometimes leave more questions than answers. They enveloped the text in mystery and mysterious contorted creatures keeping watch over the God-spell. They adored the word and simply adorned it. 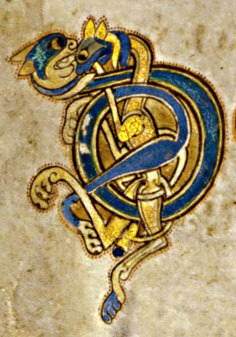 One day I would like to work on a modern illuminated manuscript. I must begin first with the desire to learn to love the text just for what it is. We scholarly types have lowered adornment for a more educational, useful approach to crowding the text with more insight rather than highlight. I think the church today could use a little influx of more text and less opinion; of more embracing mystery and passively receiving the beauty therein. May we all learn in our busy and need-to-know lifestyle to stop and savor the story of our salvation. That is my desire, to see the vivid words of life anew, illuminated, adorned in beauty just as it is. In Exodus 16 the recently freed Israelites are beginning to complain. After a month and a half since their salvation from Egypt the wilderness rescue is becoming stale. Oh the glory of the day of darkness and the great rescue and baptism through the Red Sea were old news. Predictably, the congregation blames the human leader. “Moses, get us bread, feed us, we are starving! Our pagan Egyptian masters were better than you!” We servants of God are easy targets and sometimes we forget to whom we are servants. 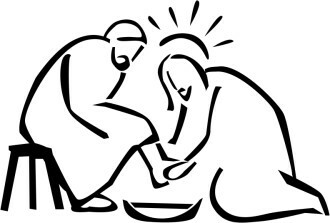 Are we the congregation’s servant or God’s servant? We don’t live to serve the people what they order up, we serve The Lord and He says how, what, and, when we serve His people. It is easy to get rattled by the vocal riffraff. But hear the word of The Lord. The very next verse Moses hears The Lord. That makes all the difference.Moses is then able to speak to the congregation reminding them of who is the true food dispenser. Pastors, do not become hasty with the people, they have been fed from crock pots brimming with meat in the pagan world. Its a smorgasbord in the land of sin. Gluttony ran rampant in their previous walk. Now they are called to moderation and simplicity. Manna flakes doesn’t come in cool packaging and Super Bowl ads. The miraculous meal is basic, bland, and well, uncool, with a seriously short shelf life. Don’t think when they complain of the fare that they are complaining to the chef, for it is the supplier and their palette with which they are at odds. You are to be trustworthy in your job, but remember you job is not to rain manna, you just help them see where and how to gather. I know it is hard not to take it personally, but the one truly offended is the master and financier of the feast. Keep pointing the way, the desert air will eventually have them hunting either for the true sustenance from above or they will give up and return to their glutton-based life of sin. Friends, remember it is not the Pastor who you are to blame when you go away hungry on Sunday. We preachers declare where and when the manna will be, the manna given by God. Preachers direct you to the Living Bread. Our Father in Heaven provides it. Listen to the preacher for instructions, yes, lest you end up with a bunch of maggoty bread. But remember, you are fed by God and in the feeding I mean you are provided the opportunity to obtain it; it is your responsibility to gather and prepare at the appointed time. The world offers up sin on a silver platter. Pastors, we offer an eternal life sustaining meal. Church, do not neglect the real food for a fancy dish of death. Pastors, offer the living bread broken for them. Help them see it and follow the instructions for life. Help them come to the table. Do not take umbrage if they walk away. Do not think you are the Master of the feast. Do not take credit. Remind them it is the Lord’s gift they are presented with. Don’t sugar coat it. And do willingly give it away to hungry sin saturated souls who are in need of real food for their sullen souls. God even gives to the complainers, which might even be you, oh pastor. Freely received, freely give. ‘Tis the season for families to gather together at the table. 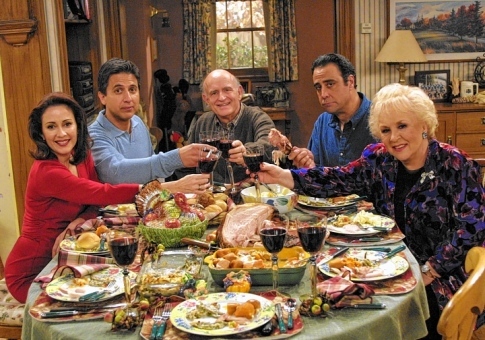 We gather for Thanksgiving, Hanukkah, or a Christmas dinner to connect with our extended families including our eccentric relatives and that one crazy uncle. These family gatherings can be rather peculiar, as most of us do not live in a Norman Rockwell painting. Jesus is supposed to be relatable to us. His favorite title for himself was Son of Man, meaning he wanted to be recognized as one of us, for us, and with us. Let us ponder this family for a minute and see if we can relate. Think of that year’s Hanukkah dinner. Mary is there; she’s the quiet teenager pregnant out of wedlock. There is the fiancé Joseph, the hardworking blue-collar step-dad with hardly a hint of his royal lineage left. Across from him is Mary’s crazy uncle Zach who saw a vision of the angel of the Lord and is now dumbstruck seated next to his elderly expecting wife; they are having that “surprise” baby anytime soon. I hope you forgive me the indulgence of my imagination, but what I am simply trying to say is that Jesus was from a typical home. It’s a blended family with a stepfather and has all the peculiarities that yours does. That’s the point. When you hang out with your family this year remember you have a Savior who can relate. Teenage pregnancy, mid-life changes, blended family? Maybe you have a child that is labeled “special” or “gifted.” Mary and Elizabeth understand all too well. This Christmas remember that God entered a messy and inglorious ordinary world. And he has entered yours as well. Jesus wants to be part of your Christmas, not matter how crazy it is. He doesn’t mind. He can relate. Today we begin the celebration of the Season of Advent. This is that splendid time of year punctuated on the four Sundays leading up to Christmas. The word Advent comes from the idea of a personal visitation, of the coming of Christ. Advent comes from the Latin translation of the Greek term, parousia. This word, parousia, is often found in the study of the last things (eschatology) concerning the Second Coming. At Advent we celebrate the first coming of Christ, born of the virgin Mary and we also look forward to the Second Coming. Just as Christ’s first advent seemed unexpected so too is his second advent. “But of that day and hour no one knows, not even the angels of heaven, but My Father only.” (Matthew 24:36). The Christ child came in a crowded town bustling with visitors for the royal census. Joseph brings Mary to his hometown and finds no accommodations until someone graciously allows them the use of their currently unoccupied basement (which is a seasonal pen for their livestock). This is no place for the king’s mother to give birth. The real question is that if at the second coming of Christ, after his long hiatus, whether we will have room for him in our schedules as well. Jesus is returning and Advent is just at the right time of year. Between Thanksgiving and Christmas is the busiest time of year as we fulfill familial obligations of gatherings and worry about the proper gift etiquette for coworkers and neighbors. Its time we worry about meeting estranged family at formal gathering. Its the time filled with gluttony and greed, of commercialism and community. Its a time of hustle and bustle to make things look prim and proper and decking the halls. What a perfect time to test our loyalty the keep our eyes on the Kingdom of God amidst the consumerism of modern life. We are awaiting the unexpected Jesus. Will there be room for him at our crowded table of to-dos? Are we bustling about our Father’s business amongst the mores of modernity? Advent reminds us to keep our priorities in line. Yes, eat and drink and be merry. Enjoy the lives God has given us but watch lest we become so comfortable we forget that we are here with a mission, to witness to the work of the heavenly Christ and prepare the way for the return of the King. Having just celebrated Reformation Sunday I imagine Martin Luther’s hymn, “A Mighty Fortress is our God” found voice in many congregations. One of the lines concerns the battle against evil and the archenemy, “The Prince of Darkness grim, we tremble not for him… one little word shall fell him.” One little word. It is amazing how one word has the potential to change so much. Take for instance the slight wording change between the moral standard of Rabbi Hillel and his contemporary, Jesus Christ. Whereas Hillel says, “Do not do unto others…” Jesus says, “Do unto others.” Well, more precisely Hillel states, “That which is hateful to you, do not do to your neighbor. This is the whole of Torah, the rest is commentary. go and learn it.” The fundamental difference between the two is the act of doing. Hillel’s rule is the very backbone for that oft quoted piece of advice, “If you don’t have anything nice to say, don’t say anything at all.” This is not the moral way of Christ. At a time when good manners, honor, and chivalry are fleeting we must reinvigorate the standard of simply doing good. These “Golden Rules” are not equal. If Hillel says to refrain from doing something to someone else you might not like then you begin by thinking solely about what not to do. Then you might take it further and, with tolerant consideration of your neighbor, you also curb your behavior lest you do something unappreciated. After awhile you are paralyzed in a circle of trying to make people happy without doing anything for fear it is offensive! Think of the teen who was told, “If you don’t have anything nice to say, don’t say anything at all” and consider if you rarely hear them speak again. Jesus in contrast calls the Church to be of action. Interestingly the Hebrew for “word” means both word and deed. Words and actions are intrinsically linked. Even the creation is described as spoken words that came to life. The Church is called to be creative, active and have a voice. James 1:22 instructs us, “to be doers of the word and not just hearers only.” The very Reformation was due to Luther’s words and actions. We are to speak, to act, and to be involved.